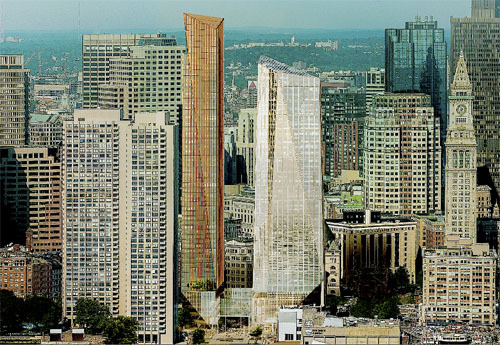 Spec office construction is coming to Boston In 2015 – for who? Well, not for the smaller companies, their footprint would be far smaller than the new construction Class A can accommodate. The recent 4 quarters has seen a tremendous migration to the Financial District from the Seaport and East Cambridge for the value oriented office tenant. Rent within the Class B market still fall within the mid to upper $30’s per square foot. 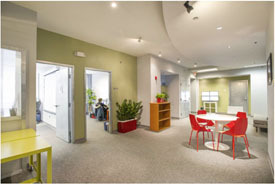 You can read the B&T report, here, or check out our analysis of Boston Spec Suites. How many towers can the 1.3 acre site on the waterfront support? Graphic renderings of the proposed Boston Harbor Garage towers were recently unveiled; the towers would replace the Harbor Garage on India Street.